Fiat 500 is probably the smallest car currently in the production. This hilariousness dates back to late 1950. Fiat 500, or as the Italians call it Fiat Cinquecento, was created when Fiat saw the popularity of the Mini. But in the process, the designer of the car went on to make the 500 even short than the mini, almost by a foot and a half. That was done to save some money from the manufacturing, as the steel was costly in Italy back then. And that resulted in a car which was hilarious yet practical and after more than 60 years of history, is still being manufactured. Fiat is running under the Chrysler and quality issues are a serious thing in 500. Don’t get surprised if you find the cheap plastic interior, sluggish automatic gear, fabric seats in this car. But if you could get it with manual transmission, you would love it also because of its perfect position. You really do not have to take your hand all the way down to shift a gear. And it is a relief. Talking about the size of the car, it is really small. When I say really small, I mean it. It doesn’t only have a length almost half of the regular sedans, but the width of the car is also something which you will find hilarious. But having the shorter width car gives you an advantage when driving around those thin city roads around Italy. The interior of the car does suffer from its shorter dimensions. Fiat 500 has a 3 door style body but it surprisingly has seats in the back. Who would have thought about that in this small car? But those rear seats are not much practical. You can fit a couple short guys back there for a short trip, but oh boy, those knees really hurt. If I’d own that car, I would use those seats to keep my grocery from the supermarket. Talking about the cargo space, it is just 9.5 cubic feet. Even some sports car get you more than that. The front seats are good and comfortable. At a windows sticker price of 16 grand for the 2018 year model, the seats are not automatic adjustable. You just have to live with what you get. The 2018 year model Fiat 500 comes with a 1.4 liter inline 4 cylinder engine which is rated for 135 horsepower at 5500 rpm and 150 lb.-ft. of torque at 2500 rpm. Who would have thought that this little car would pack this much power? And if you are feeling a little naughty, you can go for the Abarth variant which comes with a turbocharger which helps it make 160 horsepower and 170 pound-feet of torque. And did I mention that it has got racing graphics? Those sure looks fun. But that is for the Abarth 500 with a Scorpion on the Engine Cover, not the Fiat 500. But with a small 4 cylinder engine and 135 horsepower, it won’t be much less of a fun car to drive. One thing that you might notice while driving, even when you’re doing just 60 miles per hours because the car is so small that you can see the road and the high revving engine will make you feel like you’re going 200 miles per hour. So what is the advantage of that small 4 cylinders engine? You might ask. That is the right recipe for a fuel-efficient car. 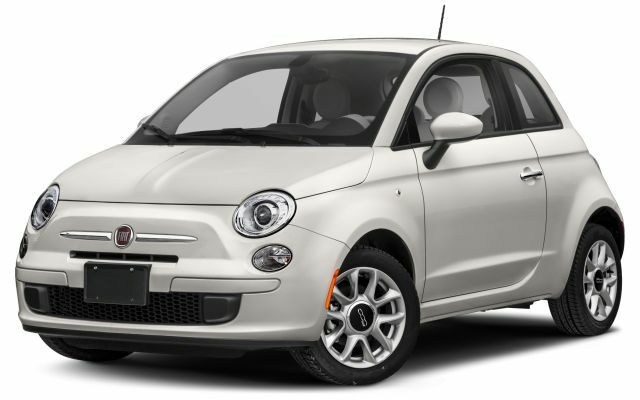 2018 Fiat 500 gives an mpg of 28 miles per gallon in the city and 33 miles per gallon. And when you take it out of the road, you do get an average of 30 mpg. Name any other car which is as fun as Fiat 500 and as fuel efficient as Fiat 500. You can’t. Because there isn’t. It has always been an issue that fun car doesn’t give you good mpg score. A small fuel tank of 10.5 gallons for this small is good to go for around 300 miles. So should you buy it? If you don’t have much money, and you want something cute and fun. Yes, go for it. And if you got a few extra grand to spare, I would recommend you to go with the Abarth variant. That sweet sound of the turbo will definitely make you happy, each day, every day. What’s more melodious than a turbo sucking gallons of air?